Porcelain is a beautiful clay, soft white in colour it gives the glazes a pure fresh look. These elegant pots look great in the kitchen and on the table, making simple food look deliciously sophisticated. In recent years, alongside making my wood fired range, I have been potting with Stuart Houghton in Ledbury, Herefordshire. 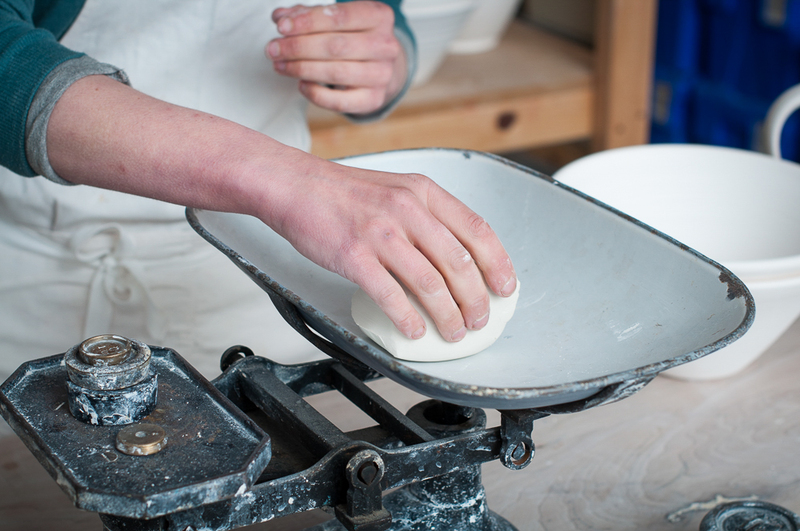 Together we have developed this range of simple hand-thrown porcelain for the table, kitchen and oven. 2017 is an exciting time as I take on the porcelain range alongside my wood-fired saltglaze. 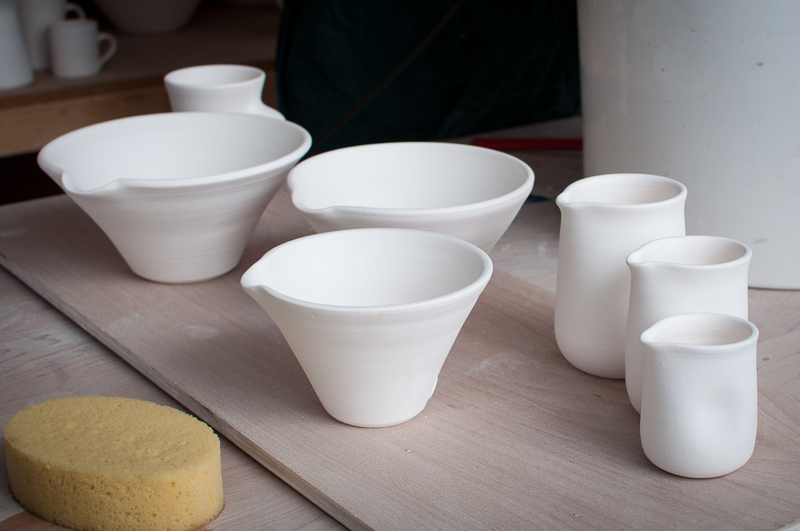 Stuart will be focusing on his own one-off pieces in porcelain and wood. 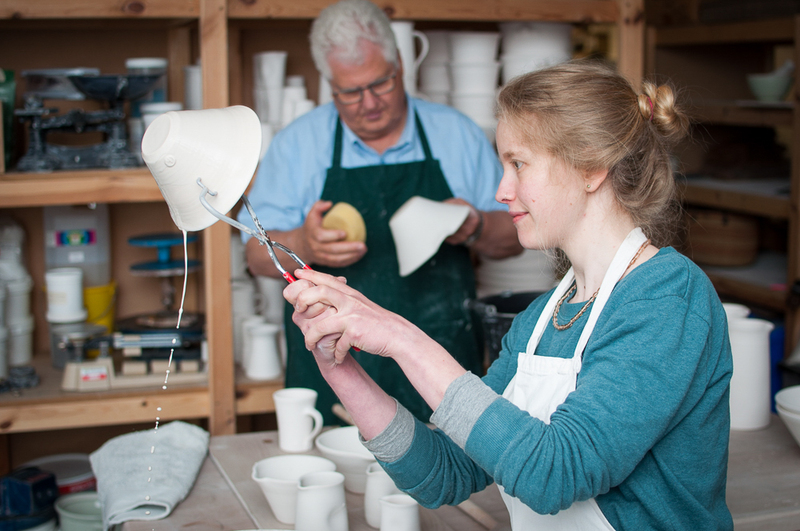 Thankfully Stuart and I continue to pot, drink tea and enjoy jazz together at Bankside studio in Ledbury where I also run pottery workshops.